So, without further ado, let us introduce Wally the Tyromancer! This weeks image was submitted by artist Alex Boake; if you have artwork that you would like to submit just send us a link on twitter, facebook or email! 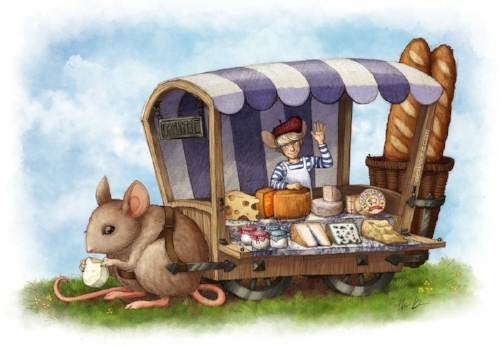 Wally the Tyromancer (primary profession) & Travelling cheese merchant (secondary profession to fuel tyromancy studies, a very circular setup) of the great cheese wheel trade route. With his giant mouse Free Range, whom he inherited. He has extensive contacts along his cheese route and occasionally takes on clients that hope he can divine the future in his cheese.